Thanks to its modular conception, the REva provides a universal evaluation board for our wide range of 8-bit and 32-bit microcontroller starter kits. The flexibility to evaluate such a wide range of devices is based on a comprehensive software toolset and an innovative hardware design with SO-DIMM connector that allows developers to use the same platform when working with different daughter board-mounted microcontrollers. 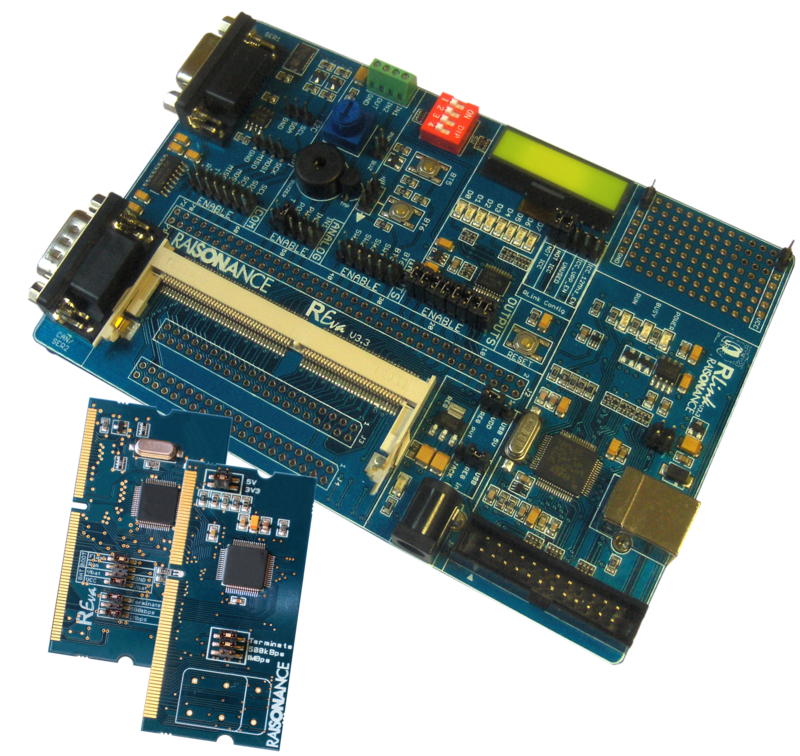 The REva motherboard v3 includes a complete set of evaluation features, including an LCD, a MEMS accelerometer, a set of analog tools, LEDs, pushbuttons and a wrapping area. It also includes connectors for UART, CAN, I2C and SPI. In addition, the REva provides additional features and connectors on the daughter boards which, depending on the device, may include CAN, USB and Ethernet. For device programming and application debugging connection, the REva benefits from its own embedded RLink and interfaces with a host PC via USB connection – which can also be configured as the board power supply. The REva's RLink supports connection to target microcontrollers via 20-pin JTAG, 14-pin JTAG, SWD, SWIM and ICC connections.